The University of Waikato has established a new professional role focusing on risk assessment research and delivery, in partnership with Aura Information Security. Operating as an independent division of Kordia, the technology provider has joined forces with the university to identify cyber threats in a bid to prevent future security breaches. As a result, the search is underway for candidates to fill the Aura Professor of Cyber Security position. “The constant cross-pollination of ideas between academic institutions and commercial business is essential to keep ahead of the rapidly evolving cyber security landscape,” Aura general manager, Peter Bailey, said. The University of Waikato has an international reputation for security research, specifically through the New Zealand Institute for Security and Crime Science. In addition, the organisation also plays a part in the joint Centre for Evidence Based Policing in Wellington, as well as offering Masters degrees in security and crime science, as well as in cyber security. “The ability for academics to work with industry is vital to growing cyber security capability,” The University of Waikato vice chancellor, Neil Quigley, added. As reported by sister publication Computerworld New Zealand, Kordia expanded its cyber security portfolio with the purchase of Wellington-based security specialists for $10.02 million in November 2015. 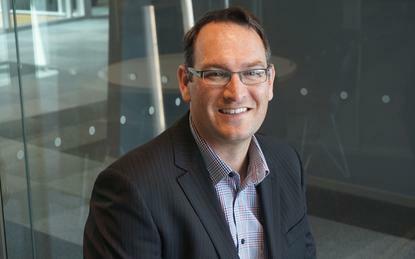 Founded in 2001 by entrepreneur Andy Prow, Aura is one of New Zealand’s leading cyber-security company and provides specialist computer and network security services throughout the country, as well as in Australia and the US.